A team from Amari Phuket recently visited the Phuket Livestock Development to donate used linen and bed sheets in support of the Stray Dog Home project of the province and to further promote the use of the sterilisation process. The team also donated dry food for cats and dogs. This activity is a part of Amari Phuket’s CSR project in donating used materials to those in need. 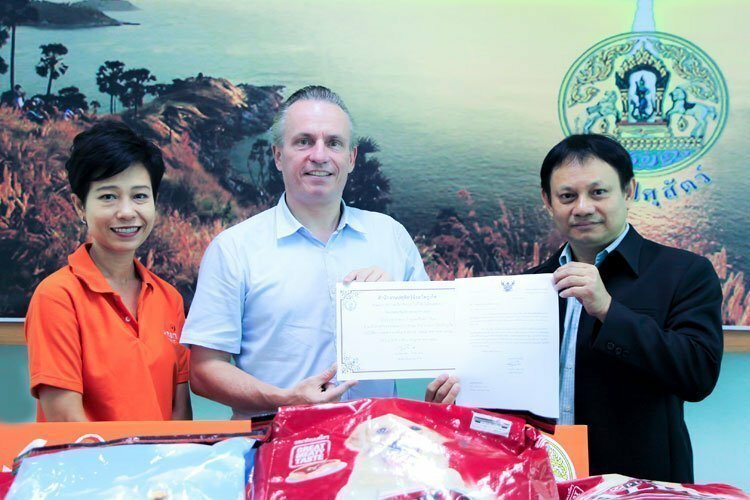 Surajit Vicchuwan, Head of Phuket Provincial Livestock (right) gave a donor certificate to Pierre-Andre Pelletier, Vice President and Area General Manager, South Thailand (middle) and Suchela Jackson, Manager, Learning and Development (left) to express gratitude for all the support.